Dr Keith Sainsbury obtained a Bachelor of Science with Honours (marine ecology and mathematics) from the University of Canterbury, New Zealand in 1972, and a Doctorate of Philosophy (population dynamics and marine ecology) from the University of Canterbury, New Zealand in 1977. 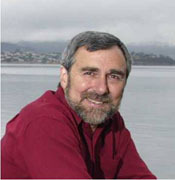 He joined CSIRO in 1977, retiring from the Organisation in 2006 to become Director of SainSolutions Pty Ltd, a company that provides scientific advice on the sustainable development of marine ecosystems, particularly ecosystem-based fishery management and integrated ecosystem-based management of regional ecosystems. to assess the cumulative impacts of human use on regional marine ecosystems and support regional multiple-use management. His work has included fishery management of resources that range from abalone to tuna and from Sub-Antarctic toothfish to tropical snappers. It has also included support to develop and implement Australia’s Oceans Policy to address integrated oceans management; major research programs to support sustainable coastal zone management on the North West Shelf and Ningaloo Reef regions of Western Australia; and identification of Marine Protected Areas of continental shelf/slope and seamount systems in Australia. Vice-Chairman of the Board of Directors of the London-based Marine Stewardship Council (MSC) and a member of the Council’s Technical Advisory Board. The MSC assesses the sustainability of fishery resources and supplies an Ecolabel to fisheries that pass the MSC standard. In 2004, Dr Sainsbury was awarded the Japan Prize for his contribution to understanding and management of shelf ecosystems.